Starting December 1st, 2016 and live each Thursday at 6pm EST for the following 10 weeks. Archives will be available within a few hours of the conclusion of each course. 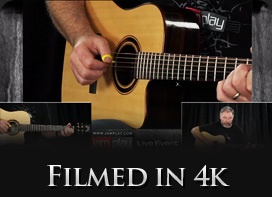 This course will show you just how much can be accomplished with a single pentatonic shape. The first scale pattern you learned was probably pentatonic. What you probably never learned was the immense power it offers. Come see how much you can play by learning one simple pattern. Get access to this live course with a full JamPlay Membership, which includes access to all past live courses and over 5,000 on-demand lessons. This also includes all teaching tools, chord and scale libraries, along with gear giveaways, teacher reviews, and daily live lessons. Let's get super familiar with the scale pattern, learn a few sequences and get good and warmed up! We’re going to need it. It’s one thing to play the scale up and down or noodle with it over a backing track, but learning some basic sequences will help you formulate some ideas both rhythmically and melodically. You’ll get your creative juices flowing! We will break the full pattern up into smaller chunks in this session. This will help us see the scale a bit differently. It doesn’t have to be looked at as a whole. Each section or two-string grouping is rich with ways to phrase and create cool licks. 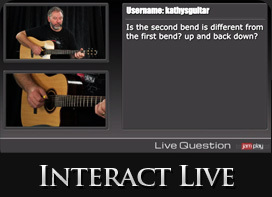 We’ll look at the styles of Jimmy Page and Jimi Hendrix as the main examples of how the two string approach works. We’ll also go over a cool drill that helps deal with the two note per string thing! One of the things that great guitar players realize that not-so-great ones don’t is that chords exist within every scale pattern. When you pick out the notes for chords within a scale pattern, your playing becomes much richer, less linear sounding and way more interesting. We’ll go over a whole page of cool chords that use nothing more that this Pentatonic position and show you how to use them! Did you know that this pattern works for playing in both Major and Minor keys? While it’s great to learn new patterns, it’s also great to get some more mileage out of something you already know. We’ll look at how to use this over sad and happy tunes and we’ll discuss a bit of simple theory so that you’ll understand how to find the right place on the neck to play what you need to play. Great playing and phrasing with the Pentatonic scale isn’t really complete without a thorough discussion about bending. I’ll point out key places in the pattern that bends especially beg to happen, and we’ll make sure your bending technique is in ship shape at the same time. The most interesting licks don’t just blow through entire patterns. They do include a few notes and milk them for all they are worth! We’ll look at what makes a lick great and learn some small, repetitive sequences to fan the flame of creativity. You’ll never listen to your favorite guitar players the same way again. Legato playing is a key ingredient in great phrasing. We’ll do a little workout with the whole scale to dial in our hammer ons and pull offs. Then we’ll take smaller parts of the scale and make our forearms burn a little. Once you build the stamina and learn how to make the most of the techniques, working it into your playing will be a snap! It’s not completely major, but it’s definitely not minor. What is it? Instead of getting into a huge discussion on modes we will move one simple note in the pattern you already know. Who knew it was that easy? This scale pattern really starts to shine when you look at and play some of the notes that you skip when you play JUST the scale. We’ll look and listen to how passing through some of the in-between notes creates some truly tasty playing. 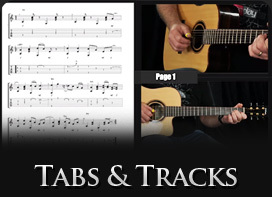 Combine these note additions with the phrasing suggestions and your playing will come alive!